This exhibition presents the room-sized wall relief Constellations II by Alsatian artist and poet Hans Arp (1886–1966); it is the work’s first public viewing in 15 years. 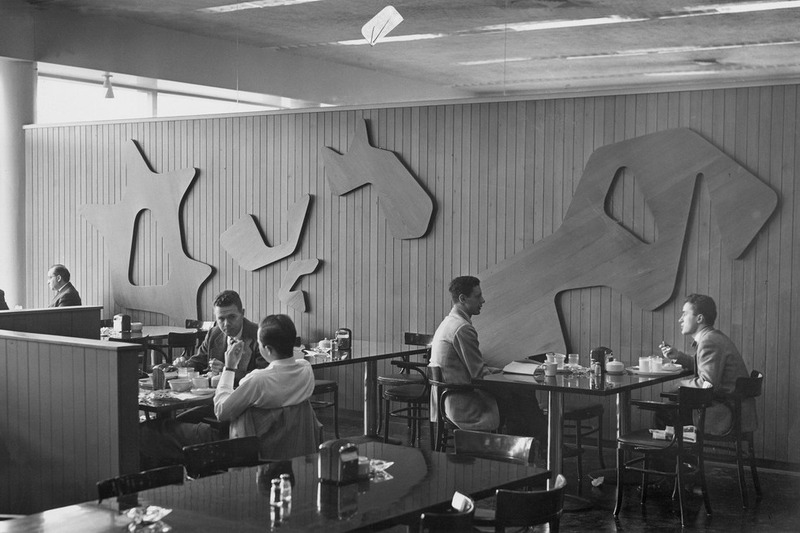 Commissioned for the Harvard Graduate Center by Harvard architecture professor and Bauhaus founding director Walter Gropius, the relief’s 13 panels were first installed in 1950 on facing walls of a popular dining room in Harkness Commons (now the Caspersen Center). Arp described its biomorphic shapes as primal forms inspired by nature, a connection made clear in the title of the work, which evokes a grouping of stars in the night sky. Constellations II inaugurated a new chapter in Arp’s postwar practice. It was his first large-scale, site-specific artwork and led to others, including a metal relief for the UNESCO headquarters in Paris. The Harvard Art Museums are closed on major holidays. Organization/Sponsor: Support for this exhibition was provided by the Daimler Curatorship of the Busch-Reisinger Museum Fund, the Charles L. Kuhn Endowment Fund, and the Care of the Busch-Reisinger Museum Collection Endowment. Modern and contemporary art programs at the Harvard Art Museums are made possible in part by generous support from the Emily Rauh Pulitzer and Joseph Pulitzer, Jr., Fund for Modern and Contemporary Art. We also wish to thank our colleagues at the Harvard Law School for their collaboration.